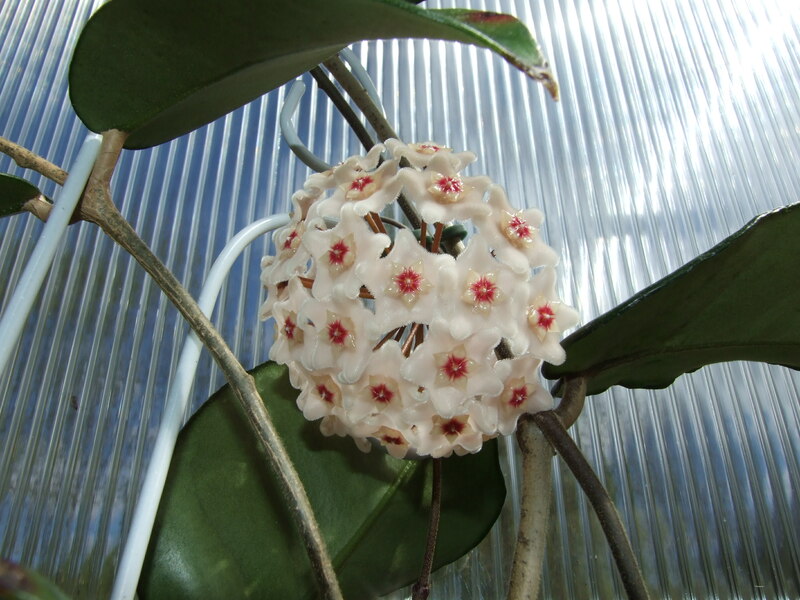 Like many people, my first experience with a Hoya was with a carnosa or Wax Plant as it was called in the Home Depot where I bought it. 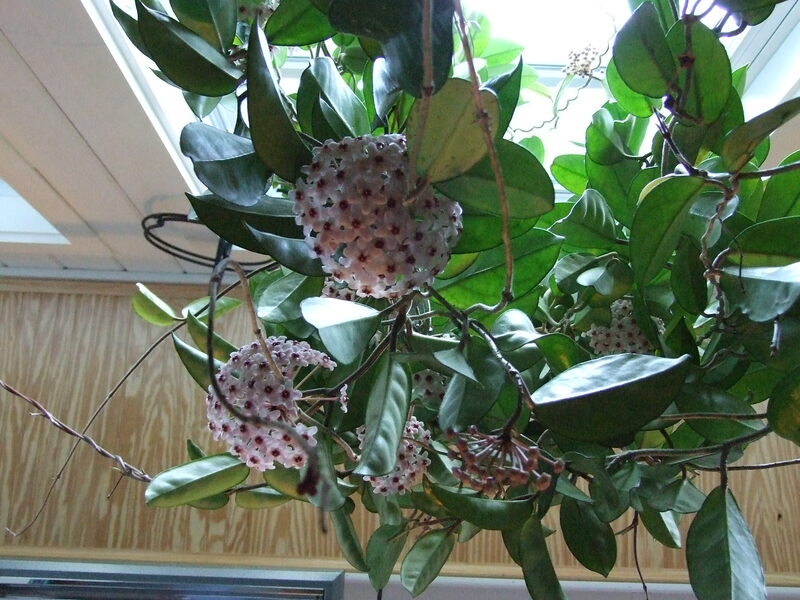 This plant has been in the trade for a long, long time, and many people remember their grandmother having one. There is one owned by someone in my town that wraps around her kitchen and is always in bloom. There are many varigated cultivars and other sports of this plant available now. 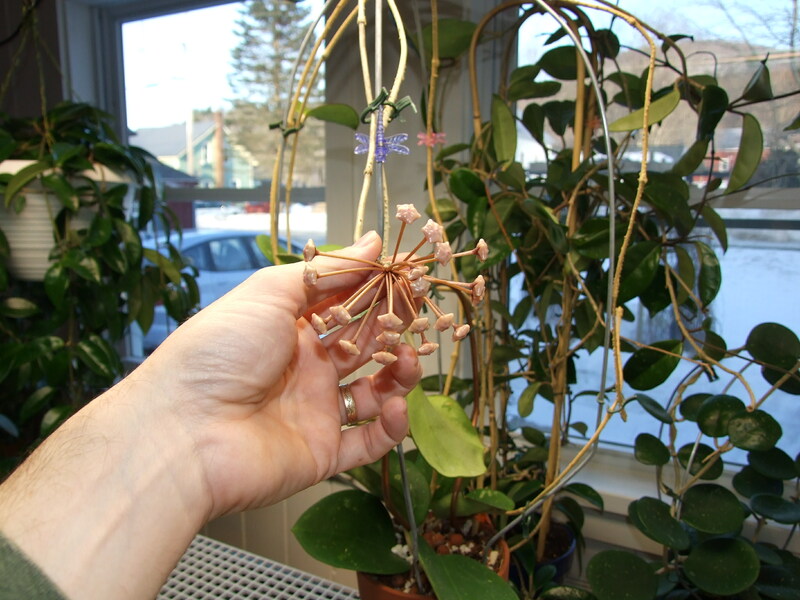 Hoya carnosa can take a lot of abuse! 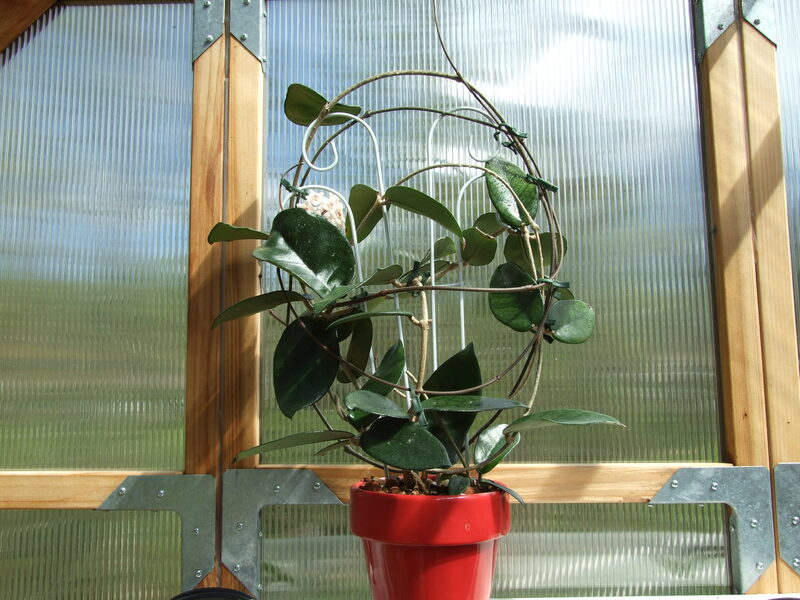 It can stay in the same pot for years, and suffer neglect that would do in most other Hoyas. The only thing that will really make it suffer is to overwater it. I think it is best to treat it almost like a succulent especially in the winter. Many people complain that they have a tough time getting their carnosas to bloom. They need sufficient light and will bloom starting at around three years of age. They are not early bloomers. Everyone has to have at least one of these wonderful plants.